Have you tried making veggie noodles yet? I’m enjoying making pasta dishes using fresh, healthy vegetables. It’s not that I don’t like regular noodles, in fact I am a sucker for just about any pasta dish. However, there is something really satisfying about knowing that your noodles are full of fresh, healthy vitamins instead of empty carbs! I’ve been trying different vegetables out (here’s an article on carrot noodles) and I’m finding that vegetable noodles work great for just about any pasta recipe that requires spaghetti or fettuccine. I’ll still eat regular pasta, but not as often…the flavor of the vegetables adds a lot to veggie noodle dishes, and I’m not afraid to go for seconds because you don’t get that over-full feeling when you eat vegetable noodles. Zucchini noodles are also easy to make…you need just one ingredient, and that’s zucchini! Dry the noodles out in your oven at 200 degrees, for about 10 minutes or until they are finished “sweating.” You’ll want them dry to the touch, but still very flexible and moist on the inside. Stir them after about 5 minutes and see how they are doing…the time they need to dry will vary depending on how moist your squash is. Once they’re fairly dry, transfer them to boiling water for just a few minutes. I stood over the pot and watched as they turned darker green, it took about 4 minutes for my noodles to reach a texture that was similar to al-dente. I’ve seen these noodles done several different ways…many people use salt to dehydrate the noodles before cooking them. I decided that I didn’t really want to use that much salt, and went with the oven dehydrating method instead. I’ve also seen recipes where people skip that step altogether and just cut the noodles, stir-frying them or eating them raw instead of boiling them. Any seasoned veggie-noodle makers out there want to weigh in on this? You could top these noodles with just about anything! Marinara and meatballs would be excellent, or a nice pesto sauce. I topped ours with fresh peppers, mushrooms, onions and tomatoes sauteed in coconut oil with a bit of garlic and some basil. A good portion of grated Asiago cheese and a dash of sea salt and cracked pepper topped it off perfectly. Simple, fresh, and so healthy! Another vegetable noodle recipe, fast and easy. 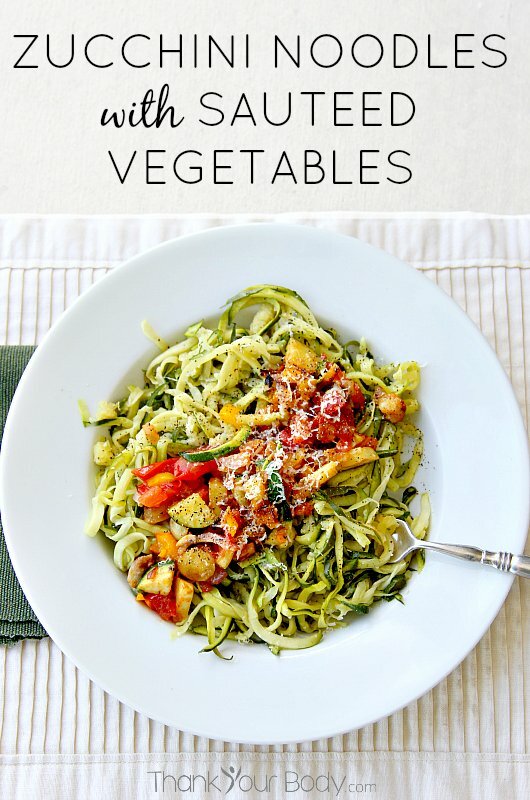 Making veggie noodles is so easy - try out these zucchini noodles with sauteed vegetables for a healthy and easy meal. 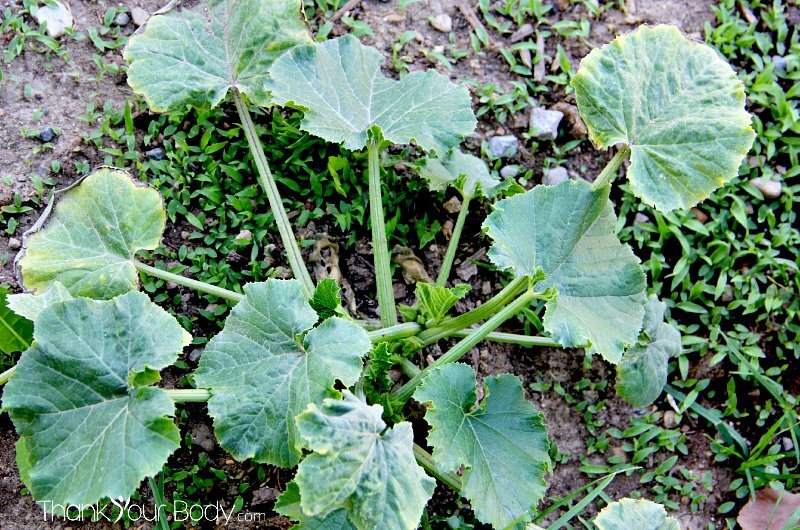 Wash the zucchini and cut off both ends. Use a vegetable spiralizer or mandolin to cut the squash into noodles (hint: save any zucchini that doesn't go through the sprializer and add it to the sauteed veggies!). Arrange the noodles on a parchment lined cookie sheet. Bake at 200 degrees for 10 minutes, rearranging the noodles after 5 minutes. You want the noodles to be dry to the touch, but still moist on the inside. In a skillet, heat the coconut oil. Add the onions and peppers and saute until they are soft, I like my onions just shy of caramelized and I left them without stirring just long enough to be slightly blackened. Add the rest of the vegetables, the garlic and the basil. Continue to cook until the mushrooms are tender. Drop the zucchini noodles into boiling water for 3-5 minutes, until they are dark green and tender. Drain the noodles. Arrange the noodles on two plates, then spoon the vegetables over the noodles. Top with sea salt and pepper, and sprinkle the grated cheese over it. Do you have any hints for making zucchini noodles? Please share!